A group of former law enforcement officials and ex-military members are preaching and fighting crime in the streets of Phoenix. The group even has police-like uniforms emblazoned with the group’s name and “Jesus.” The mission of the group, which has about 50 members, is to add another layer of crime fighting in the city, with a touch of religion. "We are prior military, law enforcement background and experience," Richard Tamayo told FOX 10 Phoenix. "We go out in the street wearing this uniform, glorify Jesus, go in areas affected by crime." 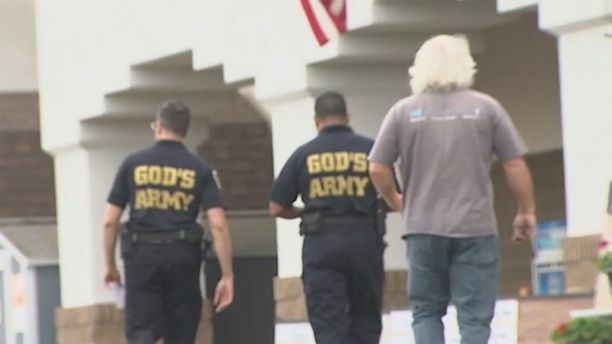 But critics say God’s Army is a vigilante group run amok – and they need to leave police work to the city’s cops. "My concern is if these 'Policemen of God', or whatever they are calling themselves, are not coordinating with local law enforcement, I see vigilante-type mentality," Eric Wasson, a store owner, told Fox 10. Wasson, however, added he is appreciative of the group’s efforts. Tamayo, who is a former New York City police officer and now a pastor, said his goal is to call 911 with tips so police could make arrests. He founded the group in 2005, and the association hopes to expand eventually to Los Angeles and New York. The pastor spent Tuesday in North Phoenix with fellow ex-NYPD officer Brandon Garibaldi in an area where two stores were recently robbed doing their part to "work the case."